Horseplayers everywhere are rejoicing at the finalization of the modernized IRS withholding regulations for pari-mutuel proceeds. The updated rules, which the NTRA sought on behalf of horseplayers for a decade, will save handicappers money by returning more earnings from high-payout winning tickets into the hands of horseplayers. In other words, we get to keep more of what we win. The modernized tax withholding regulations will go into effect industry-wide in October, and are the best news in a long time for every virtually segment of horseplayer. All of us stand to benefit from these new player-friendly tax regulations on winnings. Among the biggest winners of modernized IRS withholding will be tournament players. With more and more handicapping contests offering real-money formats that include exotic wagers, the ripple effect of the updated IRS regulations will have a huge positive impact on tournament players. Contestants in real-money events with exotic wagers no longer will be subject to losing substantial chunks of their live-money earnings to the tax man. This could not come at a better time, since we are less than a month away from the granddaddy of all real-money handicapping tournaments, the Breeders’ Cup Betting Challenge [BCBC]. The BCBC, of course, consists not only of win, place, show, exacta, and daily double bets. It also includes trifectas, which were formerly often impacted by IRS withholding during Breeders’ Cup weekend. And speaking of the BCBC, as that tournament gets closer and closer, crunch time for qualifying is ramping up with many qualifying spots in that event still up for grabs in places like Keeneland’s BCBC/NHC tournament on Oct. 16 (6 spots) and Santa Anita’s Autumn Handicapping Championship on Oct. 7-8 (2 spots), and especially online at horseplayers.com, the official qualifying site of the BCBC as well as the NHC. Horseplayers.com is offering an exclusive schedule of BCBC feeders and qualifying contests all throughout October, including an extensive array of daily feeders starting at $20. Weekend qualifiers guaranteed to offer at least one spot or more are scheduled for Fridays, Saturdays, and Sundays in October, with entry fees ranging from $179 for a 1-in-65 ratio qualifier, to $1,000 for 1-in-11 ratio super qualifiers. Horseplayers.com will offer an exclusive schedule of NHC qualifiers in November and December. As players hustle to try to earn their $10,000 BCBC entries, the field and the purse for that tournament continue to grow. With $2,500 of every entry going into the prize pool, the BCBC will achieve a $1 million purse with a field of 400 entrants. The BCBC will also offer 15 qualifying berths into the NHC, plus an unprecedented $3 million bonus if the BCBC winner goes on to win the NHC. As of the start of October, a projected 59% of the overall seats to the NHC have been filled. This is good news for those who are still seeking to get in, however, since that also means that 41% of the seats to the February 2018 NHC remain unclaimed. Even with horseplayers.com exclusively dedicated to the BCBC during October, handicappers will still have plenty of upcoming chances to get in to the field for the NHC through both live and online qualifiers, or at least be able to bolster their chances by garnering loads of Tour Points offered by the various contests. Online, players can go to Horsetourneys.com to compete in any or all of the site’s 12 scheduled October NHC qualifiers offering approximately 20 NHC berths. Qualifiers will range in price from $75 to $500, with most available for $165 per entry. Daily feeders starting at $18 are also available. On track, there are several big tournaments upcoming on the calendar, starting with the Meadowlands NHC Qualifier offering 3 NHC spots on Oct. 7 at a cost of $400 per entry. That weekend also features the aforementioned Santa Anita Autumn Handicapping Championship, which is actually three separate events on Oct. 6, 7, and 8. The Santa Anita contests range in price from a $500 buy-in on Friday, Oct. 6 (2 NHC spots), to a $3,000 buy-in on Saturday, Oct. 7 (5 NHC spots plus 1 BCBC and 2 Pegasus spots), to a $2,000 buy-in for the Sunday, Oct. 8 contest offering 5 NHC berths plus 2 Pegasus and 1 BCBC. The following weekend of October 14-15 will also be a big weekend in the tournament world, mainly thanks to two big contests at Keeneland, which will host its $400 buy-in Fall Challenge on Oct. 14 (2 NHC spots), and its $3,000 buy-in BCBC/NHC Contest on Sunday, Oct. 15 with as many as 10 NHC spots up for grabs in addition to as many as 6 for the BCBC, depending on the number of entries. Monmouth will also host another of its real-money NHC qualifiers on Oct. 15 with 2 NHC qualifying spots available to the top finishers. The overall points leader on the NHC Tour leaderboard remains Christopher Dewey of upstate, New York with 18,096 points. The margin of his lead is still 1,500 points over former NHC Tour Champion Eric Moomey of South Dakota with 16,517. The latest move atop the leaderboard was made by David McCarty, who surged into third place in the standings with 16,291 points after garnering 2,619 points with a victory in the Saturday, Sept, 30 qualifying contest on horsetourneys.com. McCarty was already double-qualified thanks to winning Santa Anita’s tournament back on February 11 and then with a second-place finish at horsetourneys.com on March 26. McCarty has now qualified for the NHC for the fourth straight year, and was also a double qualifier in 2017. His highest NHC finishing position to date was 186th-place in 2017 with a tournament total of $140. The NHC Tour overall leaderboard top five is currently rounded out by first-time NHC qualifier Mike Yurczyk in fourth place with 16,092 points, and Greg Knepper who is currently in fifth place with 16,066 points. Knepper will be making his seventh trip to the NHC in 2018 after having qualified a total of six prior years to the NHC dating back to 2006 at Delaware Park. Knepper’s highest NHC finals finish to date was a 54th-place finish in 2013 with a $175.60 final total. Stay tuned for to this space for more NHC and BCBC updates. – Noel Michaels is an NTRA tournament consultant. 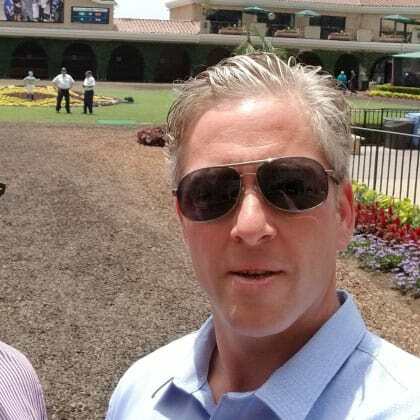 He has been the racing media’s top authority on the National Horseplayers Championship since the National Handicapping Championship’s inception in 2000. Noel has covered the NHC for several publications, including the Daily Racing Form where he served as the primary reporter and promoter of the NHC throughout its formative first decade. He is the author of the groundbreaking Handicapping Contest Handbook, a Horseplayer’s Guide to Handicapping Tournaments, and a five-time NHC qualifier in his years of eligibility since 2010.